This part is made by working in continuous rounds ,so you may want to use a stitch marker to keep record of your current rnd. Rnd 16: SC around (20 SC). FO and leave a short tail, it will be hidden inside the base when ice cream is assembled. Rnd 5 – 7: Work 1 SC in each ST around (24 SC). Rnd 10: Working in front loops only. *SL ST, 2 HDC into next SC. Repeat from * around. 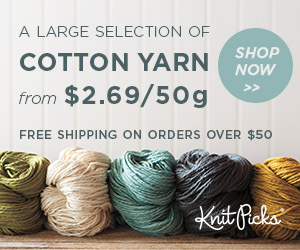 FO and leave a long tail for sewing. Stuff cone and ice cream parts, attach ice cream to cone. Weave in all ends. Rnd 4: This part is worked in freeform style exp – SL ST, Ch8, in third CH work 1HDC, work 1 HDC in next 5 CH, skip SC, SL ST 3. Work around adjusting the CH and HDC to your taste and FO; leave a long tail for sewing. Rnd 1: With yarn, CH 2. Work 4 SC in second CH from hook. Rnd 2: Work 2 SC in each ST around (8 SC). Rnd 3: *DECR across first two STS. Repeat from *around (4 SC). FO and leave a tail for sewing. Attach on top of icing. Row 2 – 6: Work 1 SC in each ST across, CH 1 turn. FO on last row. Roll up and secure. Attach on top of icing. These parts are made by working in continuous rounds, so you may want to use a stitch marker to keep record of your current rnd. Rnd 13-16: SC in each ST around (30 SC). FO, leave a short tail when finishing off, it will be hidden inside the cone when assembled. Rnd 8: *Work 2 SC in first ST and 1 SC in next three STS. Repeat from * around (30 SC). Rnd 14: *SC2tog and work 1SC in next ST. Repeat from * around (12 SC). MM Push fiberfill through opening until ice cream is sufficiently stuffed. Rnd 15: *SC2tog. Repeat from * around (6 SC). 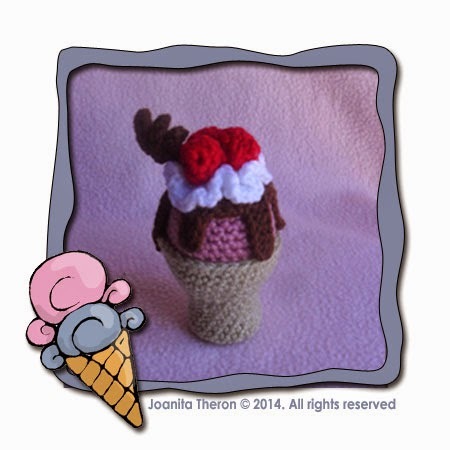 FO and leave a tail for sewing ice cream to cone. Rnd 5: This part is worked in freeform style exp – SL ST, CH 8, in third CH work 1HDC, work 1 HDC in next 5 CH, skip SC, SL ST 3. Work around adjusting the CH and HDC to your taste. FO and leave a tail for sewing. Rnd 4: Work 4 SC in each front loop around. SL ST in first SC. FO and leave a tail for sewing. Row 1: With yarn, CH 10. 2SC in each ST till end. 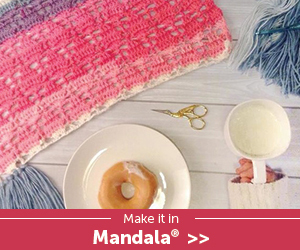 FO You can make this as long or as short as you want. Leave a tail for sewing. 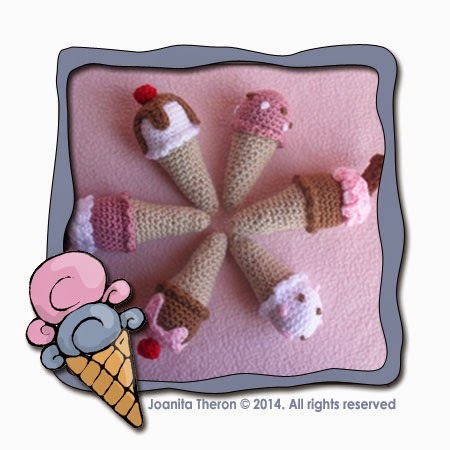 Fiberfill cone and attach ice cream to cone. Weave in all ends and trim neatly. Sew syrup onto of ice cream and sew icing onto syrup. Embellish with cherries and twirled flake. Rnd 3: *Work 2 SC in first ST and 1 SC in next ST. Repeat from * around (18 SC). Rnd 13: *DECR across first two STS and SC in next ST. Repeat from * around (12 SC). MM Push fiberfill through opening until ice cream is sufficiently stuffed. Lightly stuff to form shape. Rnd 6: *DECR across first two STS. Repeat from * around (6 SC). FO, leave a tail for sewing. Leaf: With yarn, CH 4. Work 2 SC across and SL ST in first CH. *CH 3. Work 2 SC across and SL ST in first CH. Repeat from * three times more. 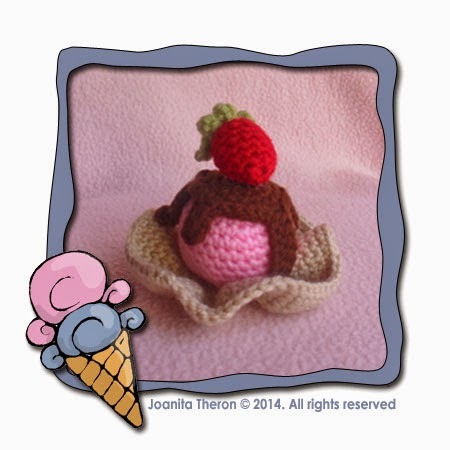 FO and attach to strawberry. Sew strawberry to chocolate syrup. Weave in all ends and trim neatly.